When I cook, I’m always trying to boil a recipe down to it’s most fundamental parts. Not because I’m some kind of food nerd chemist, but because I’m a chronic questioner with no respect for authority, and I’m also lazy. Maybe my personality flaws have made me a little bit of a food nerd – but I solemnly swear that my purposes are ignoble. 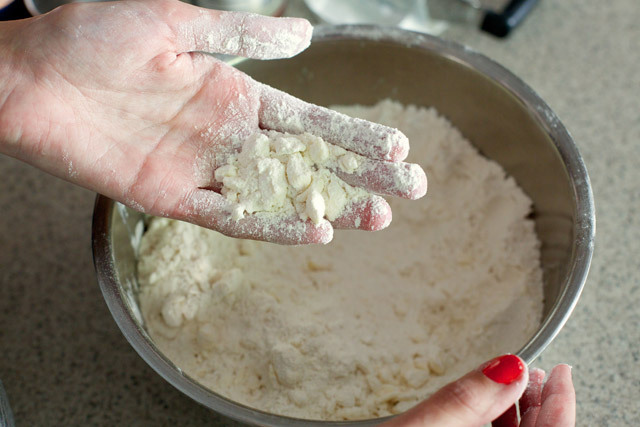 Recipes for baking are always so bossy – I like to limit their space in my cookbook. Does anyone need more than one recipe for pound cake, when the only difference between one and another is the addition of cocoa? What about muffins? Are the differences between blueberry muffins and lemon poppyseed so vast as to require two separate pages? I say no. 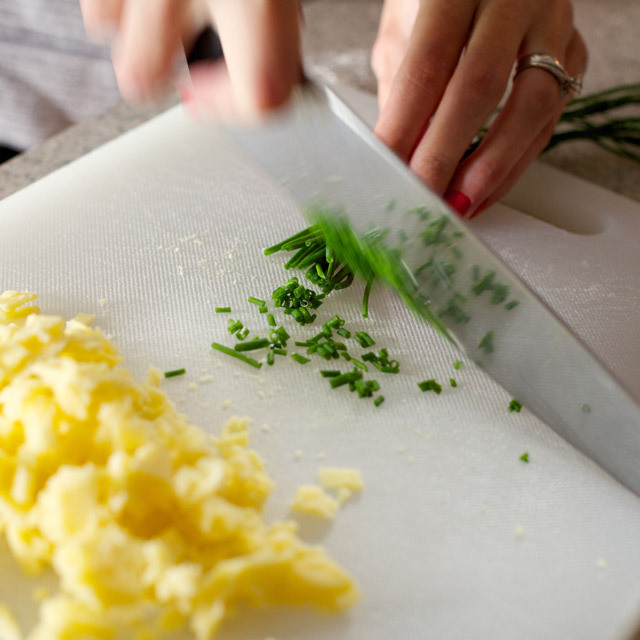 I think these recipes can be simplified and condensed. After some trial and error, I’ve landed on a formula for scones that makes all others unnecessary. 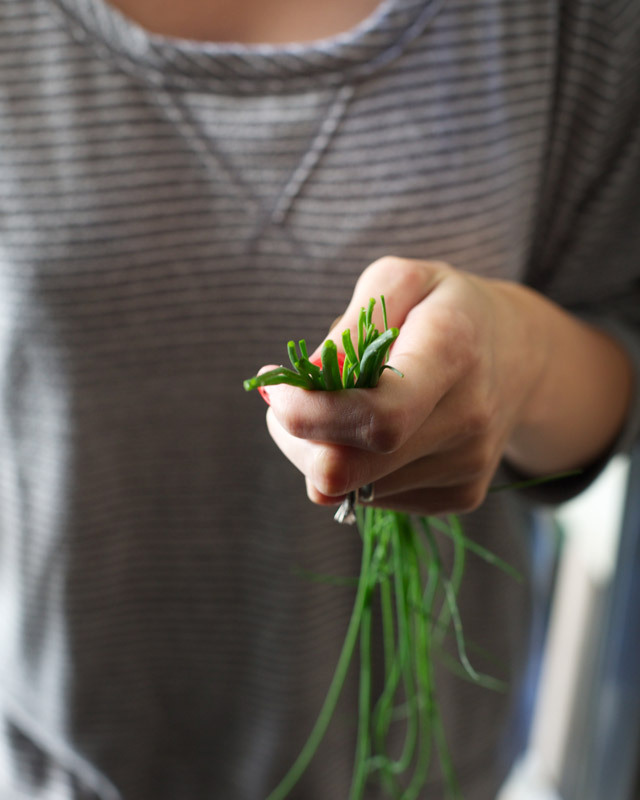 You can make it sweet or savory – like a pick your own adventure story, but edible. 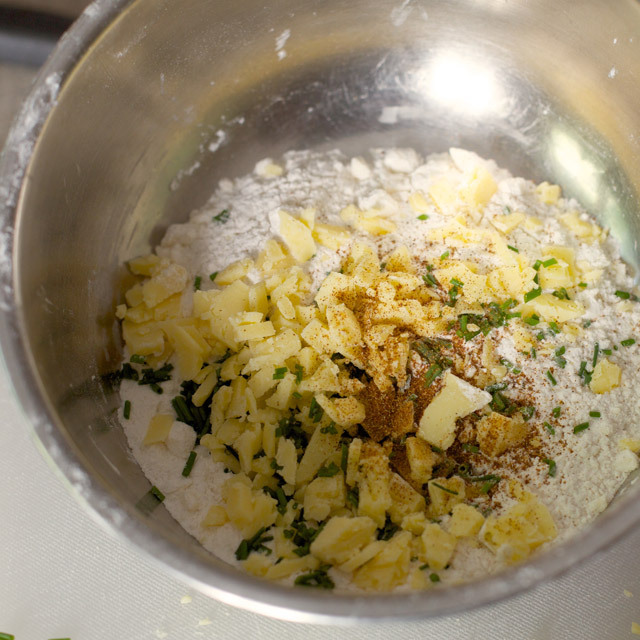 The cardinal rule of scone making is not to over mix the dough. 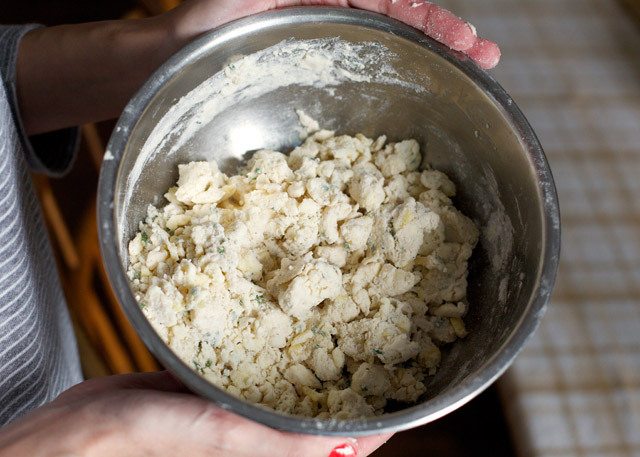 When you are making something you want to be flaky or crumbly, or tender (which these scones are) over-mixing is the enemy. 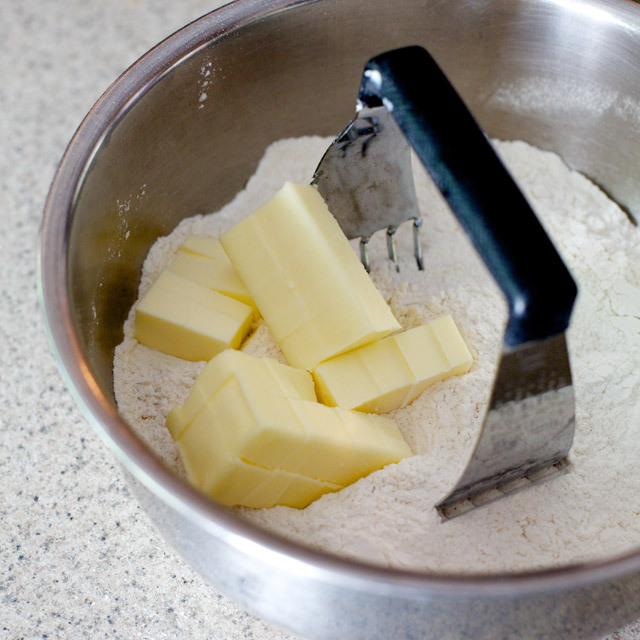 So when you cut the butter in to the flour, use a pastry cutter or your hands – you want those butter chunks to stay pretty big. 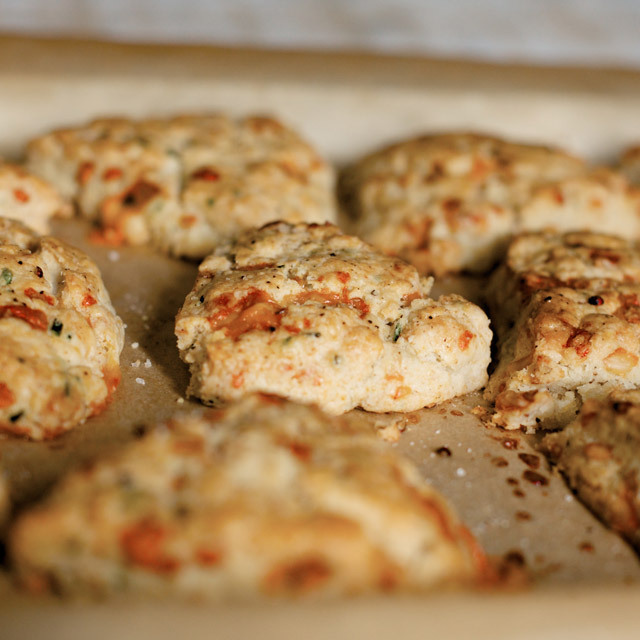 For these scones I went savory and did two versions: cheddar chive and black pepper parmesan. 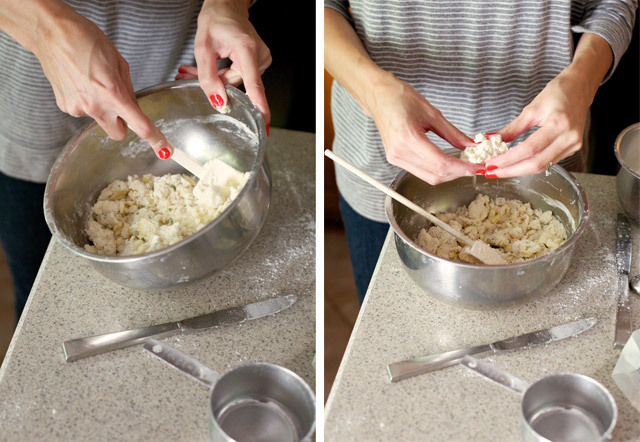 You can really add anything you want as long as it isn’t going to add any moisture to the dough. So no pumpkin puree or applesauce or soft cheeses (unless you freeze them first). When it comes to add-ins, the sky is the limit – just keep the pieces fairly small. I like to have at least two additions, just to make things interesting. Some of my favorite combinations are dried cranberries with orange zest, blueberries with brown sugar, blue cheese with bacon, and diced apple with cheddar. 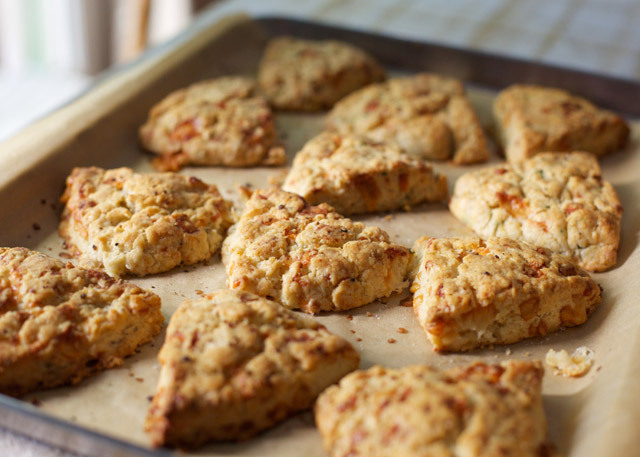 These cheddar chive scones with a dash of cayenne and paprika were pretty great too. 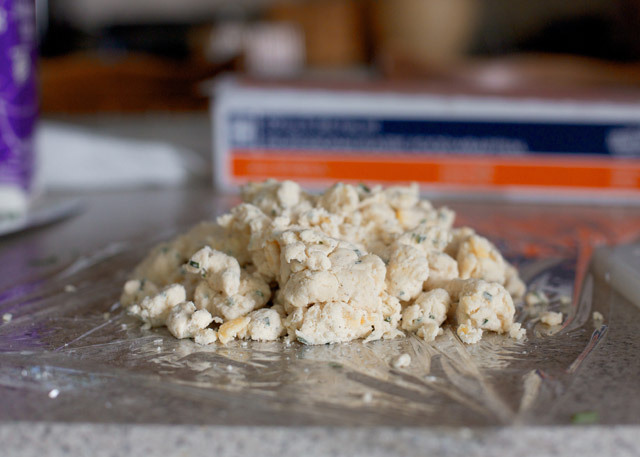 Once you select your additions and get them prepped, add them to the dry ingredients and mix them in until everything is evenly distributed. Then pour in your cream. 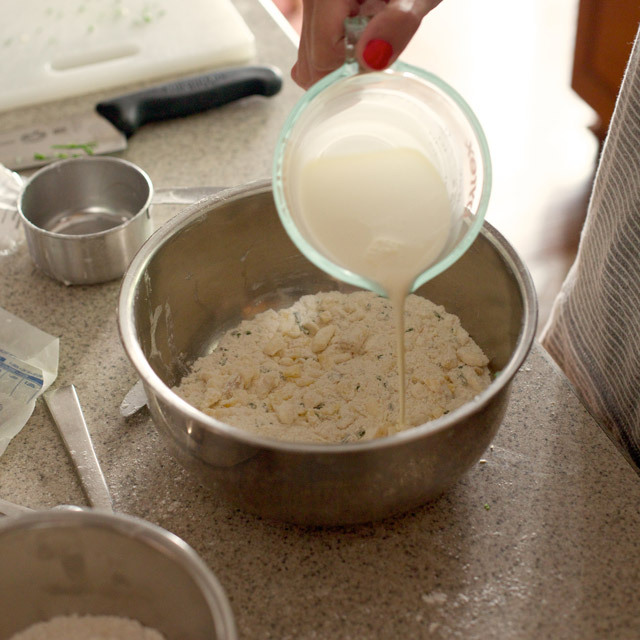 Fold the cream into the dough gently until things are roughly homogenous (very roughly). You want everything to sort of clump together, but there will likely be a few dry spots. Be especially careful if you’re working with something fragile like blueberries – those things like to burst during the stirring process – do your best to prevent it. This is why I think making scones in a mixer is a bad idea. 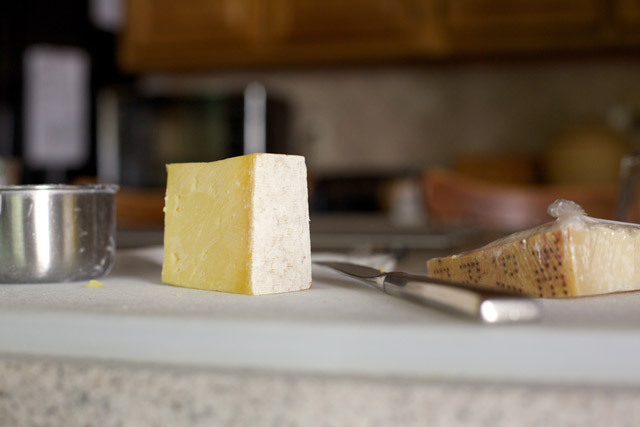 If you have any giant clumps of butter, break them up gently with your hands. When you finish, it should look something like this. 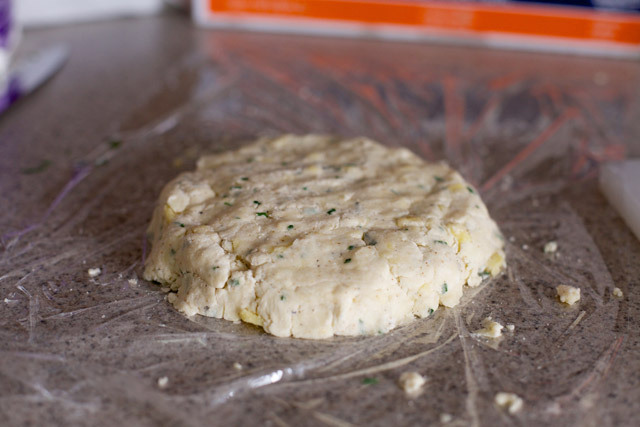 Pack the dough into a disk, wrap it in plastic, and chill it in the fridge for at least 20 minutes – longer if you want. 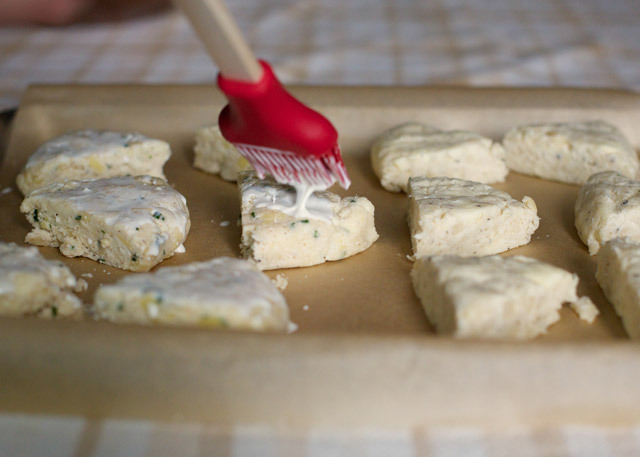 Brush the scones with cream and sprinkle with sugar if they are sweet, salt or cheese or spices if they are savory. Bake them for 20-25 minutes at 400 degrees. 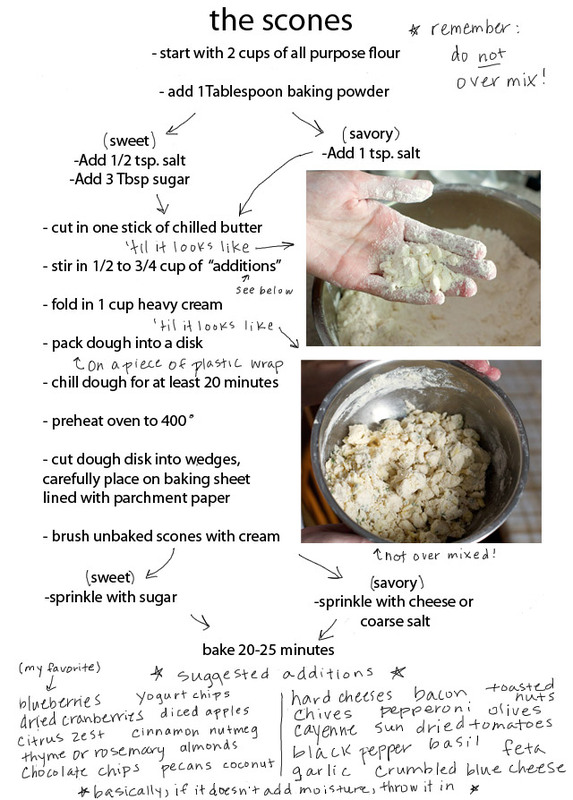 So as a special present to my readers I experimented with photoshop and made a little recipe/flow-chart for these scones. I’m still getting used to using a tablet, as evidenced by my handwriting here. Anyway, it’ printable, so yay! i love your blog so much!! great writing, great pictures, and of course, great recipes. i'm with you on not needing a billion muffins recipes, etc. when i end up altering the recipes almost every time anyway. nice to have a solid scone recipe. pinning this!! Thank you!!!! Baked goods are not just for salted caramel crap and pumpkin buns. 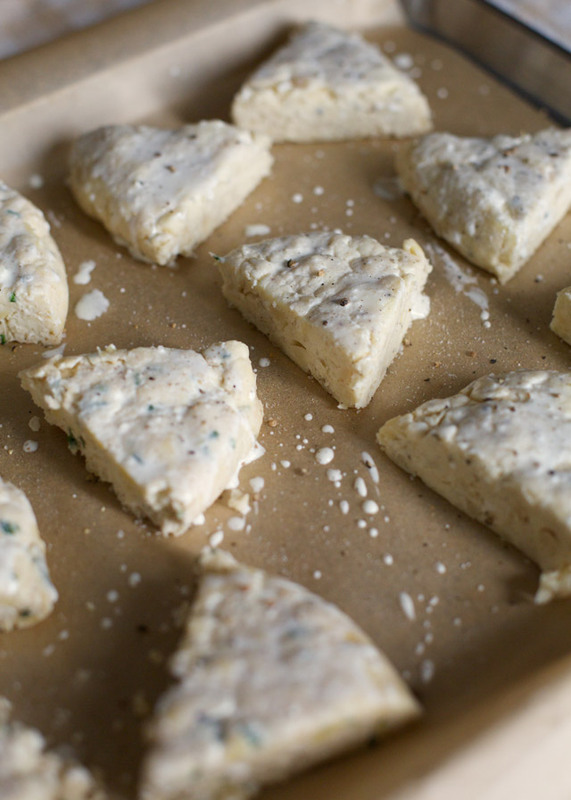 Those cheddar and chive ones look amazing. Also, I love the printable recipe. You rock. Thanks Courtney for the scone tutorial. You made it look easy and delicious! AH-MA-ZING... I just made cheddar ones and they are to die for!! Roxanne, I'm so glad you liked them! I have to admit, I'm partial to cheesy scones myself. Thanks for the feedback! This is about the only scone recipe I use since finding it. I make it with Pamelas artisan blend gluten free baking mix and change nothing else. 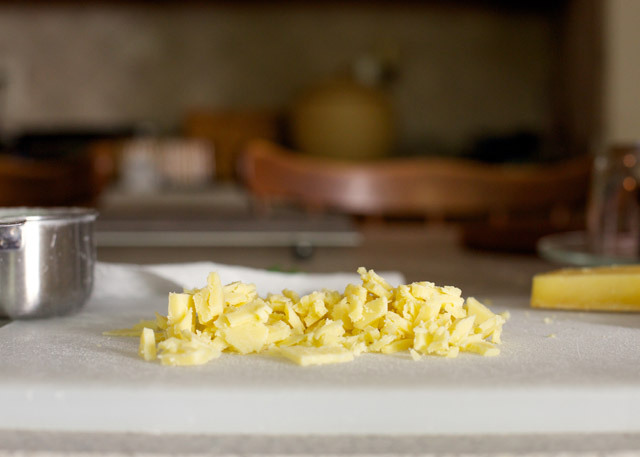 Except I'm lazy and use my food processor to cut in the butter. People rave! My usual are cinnamon chip topped with a bit of cinnamon sugar, bacon cheddar, lemon blueberry topped with sugar mixed with lemon zest. The variety is endless. This morning I'm thinking of blackberry basil. Thanks for this amazingly simple and super tasty treat. Lisa! That comment made my weekend. I've never tried to make them gluten free but I'm so glad to hear it works. Blackberry basil sounds like a particularly revelatory combo. My latest favorite (as a Marylander) is making a red lobster biscuit knockoff/upgrade with old bay, cayenne, cheddar, and garlic. Blueberry lemon is also a regular in my kitchen. Thanks again for the report! Can I use milk instead of heavy cream? How does it taste? Substituting milk would change the texture of the scones a lot. 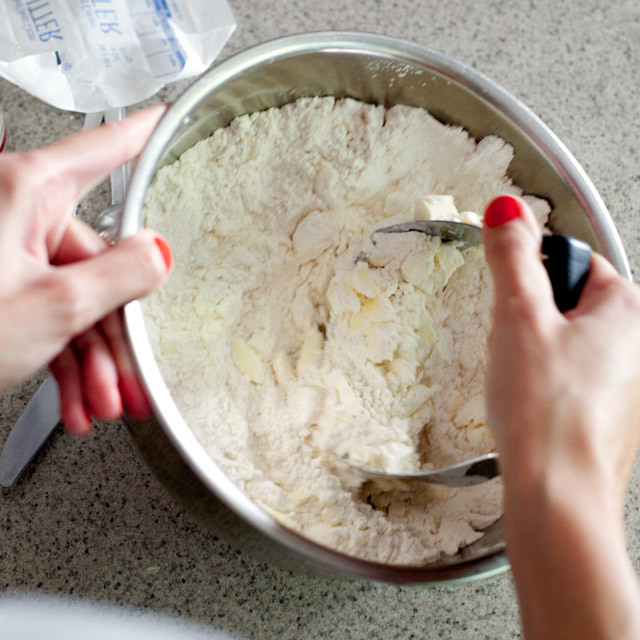 Cream has a much higher fat content and lower water content than milk, so the scones will not be as crumbly or tender. I don't think it's worth it to fundamentally change that rich and crumbly texture, because then the scone just kind of becomes a dense, triangular muffin. There are probably scone recipes out there that use milk instead, but I haven't tried any personally. I'm all about scones with heavy cream.